The Kolkata Declaration was adopted on November 30, 2018 in Kolkata at a week-long conference hosted by the Calcutta Research Group. It is a document that advances a regional and postcolonial perspective on refugee protection, in part as a response to the New York Declaration and Global Compact for Refugees (GCR) that was initiated largely by global North actors in September 2016. The GCR process largely left out South Asia and Southeast Asia as regions, states, and civil societies that do a great deal to support and protect refugee who may also be called migrants, but who fall outside the 1951 Convention Relating to the Status of Refugee definition and and that in the 1967 Protocol. 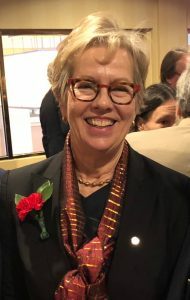 On November 16, 2018 CRS resident scholar and anthropology professor, Wenona Giles, was inducted as a Fellow into the Royal Society of Canada, one of the country’s highest academic honours. CRS is very pleased to announce that Prof. Luann Good Gingrich has been appointed as CRS Associate Director for the 2018-2019 academic year. A deep reimagining of migration is urgently needed. We are profoundly concerned about responses to human mobility, including the Global Compact on Refugees and the artificial separation from wider migration issues. It emerges from exclusionary drafting and decision-making processes that ignore the lived realities of the people and spaces most affected by displacement. It privileges state sovereignty over human beings. It reinforces unequal power relations and waters down existing commitments to human rights and dignity. In an act of refusal rather than reform we propose this manifesto as one mechanism to re-centre people and spaces of displacement. We hope to contribute to a generative, inclusive movement that finds creative and humane ways to work in solidarity with people on the move, and the individuals, communities and organizations who live and work within these spaces of displacement. Taking part in a research project gives you a chance to make your voice heard, but it can also be inconvenient, cost you time or money, and/or make you feel physically or emotionally uncomfortable. This information sheet explains key terms and outlines your rights. On June 12th, 2017 York University’s Syria Response and Refugee Initiative hosted a meet and greet for sponsor teams across the GTA University Ryerson University Lifeline Syria Challenge (RULSC) at Osgoode Hall Law School’s Professional Development Centre in downtown Toronto. (From the Preamble) Research involving people in situations of forced migration deepens our understanding of their experiences and has the potential to inform evidence-based decision-making, but also poses particular ethical challenges and opportunities. This document is intended to provide researchers, community organizations, and people in situations of forced migration with information on the particularities of forced migration contexts to complement established ethical principles and frameworks on research with human subjects more generally. They draw on good practices identified in a scan of civil society and government documents and academic literature. Educational Resource: Unit Plans on Migration, Refugees and the Indochinese Refugee Movement in Canada: For all those who are interested in teaching about refugees and refugee issues, and specifically at the primary and secondary levels in Canada, you may wish to visit the material just posted on the Educational website of the IndoChinese Refugee Movement (ICRM) Project Hub at http://indochinese.apps01.yorku.ca/education/. The Centre for Refugee Studies is very pleased to announce that $1.35 million has been awarded to Prof. Michaela Hynie (Faculty of Health and CRS Executive Committee member) by the Canadian Institute for Health Research (CIHR) to study Refugee integration and long-term health outcomes in Canada. This project, with partners from 3 provinces, including some 2 dozen co-investigators, academic and community-based settlement agencies, will compare how government-assisted refugee (GAR) and private-sponsored refugee (PAR) resettlement programs support long-term social integration pathways for refugees and the impact of these pathways on physical and mental health. Research will take place over a five-year period.